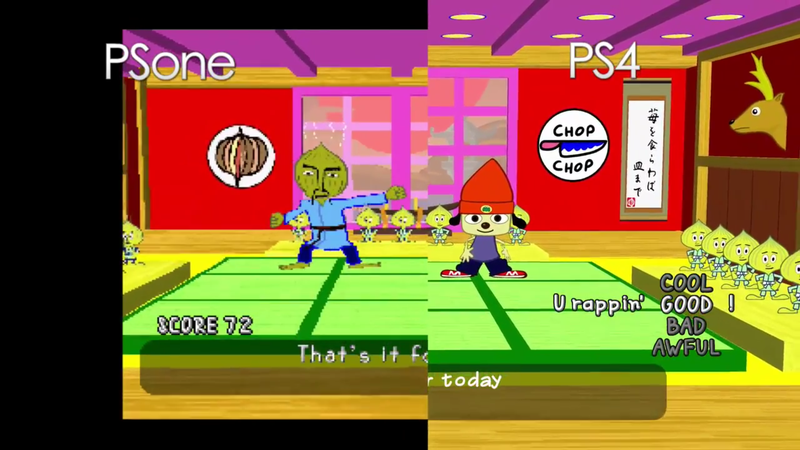 Announced this weekend at the PlayStation Experience event, PSOne rhythm classic Parappa the Rapper is getting a high definition remake next year. YouTuber Erick Marroquin created a video comparing the original to the PS4 demo version, and the differences are crisp and clear. It’s like the right side of the image is showing what my brain filled in the left side with back in 1997, when the original Parappa was released in North America. They probably didn’t look so rough on whatever horrible television set I was rocking nearly two decades ago. Either way, Parappa is looking damn good. Of course now we’re going to need HD remasters of Parappa the Rappa 2 and UmJammer Lammy to complete the set. I gotta believe Sony will follow through.